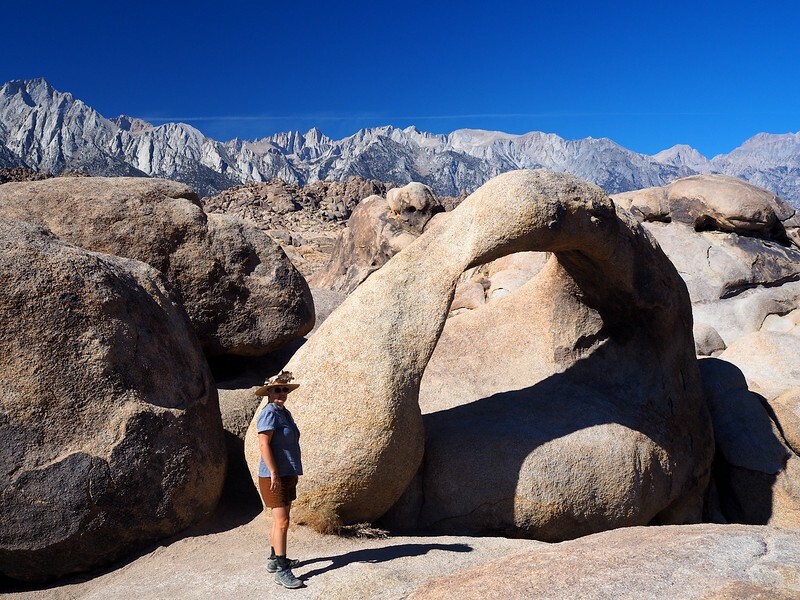 On our way from Death Valley to the first of our Fall color hikes near Bishop, California, we made a short detour to see the Mobius Arch just west of Lone Pine, California. 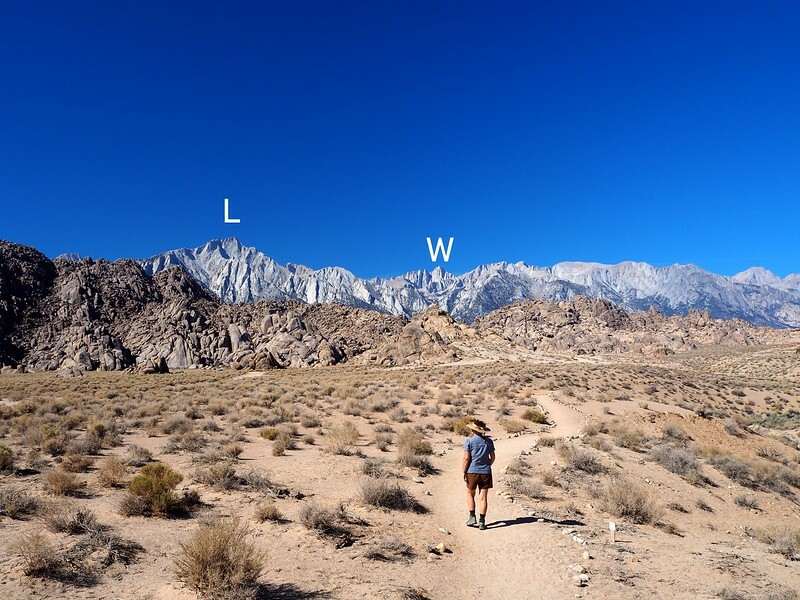 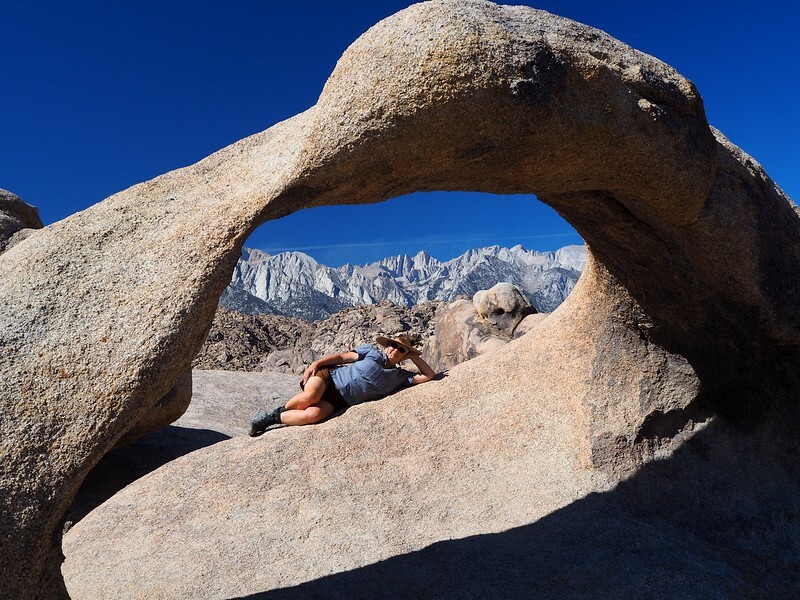 This is the most accessible (and most visited) of the 70+ natural arches scattered among the boulder fields of the Alabama Hills. 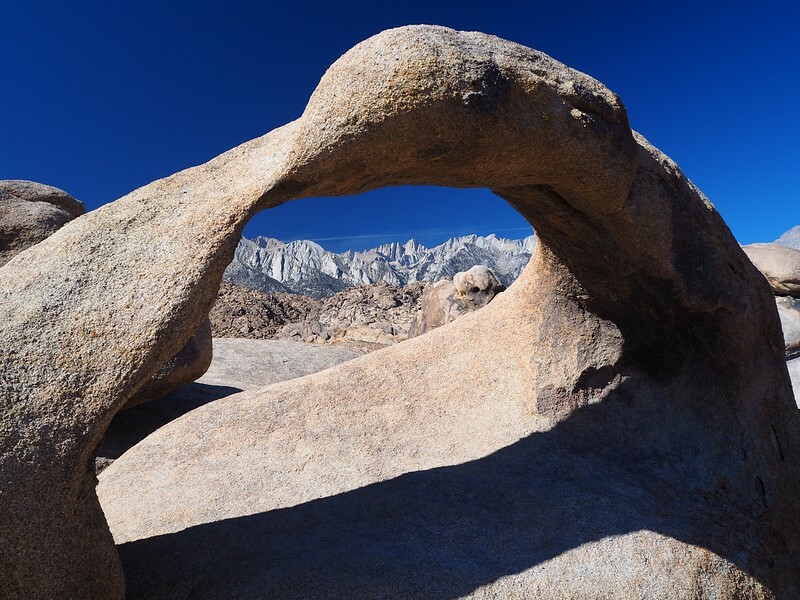 We were lucky to visit it on a weekday when only about six other people were ahead of us for photos. 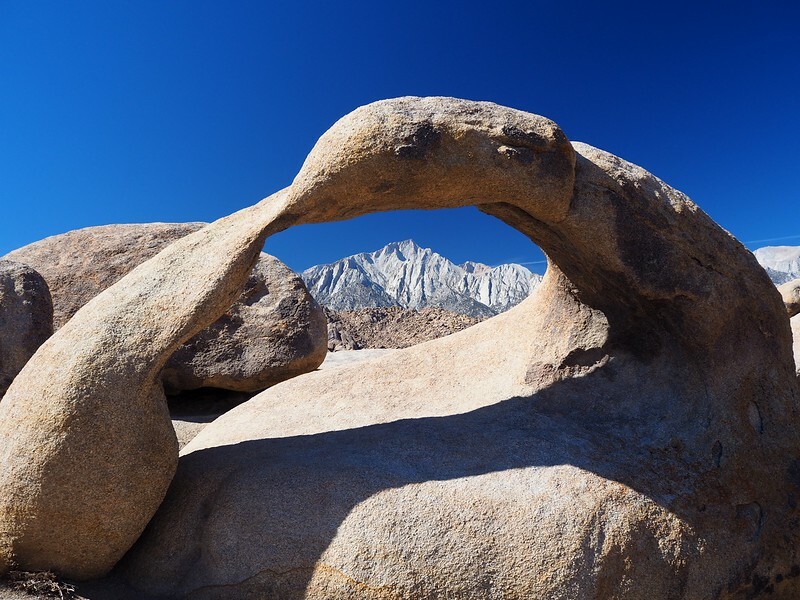 It’s pretty amazing what natural forces can do to a piece of rock!